The goal of the Parliament Street News News is to enable people, businesses and organizations to share their stories with each other. We do this by offering free content to anybody that would like to contribute. We also offer very affordable rates to advertisers with a budget for marketing. 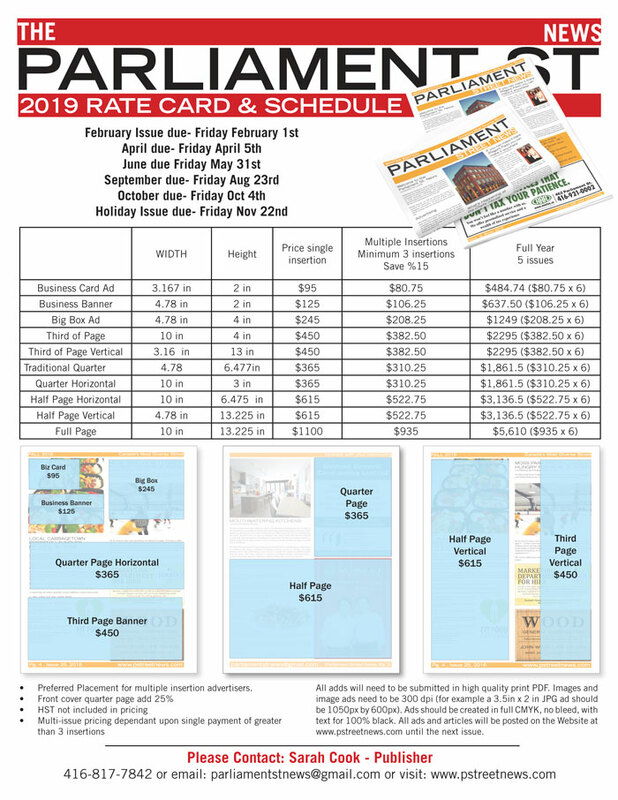 Our pricing is designed to be less than the cost of designing, printing and delivering postcards or flyers. People doing great things in the community is the new working tag line of the Parliament street news. 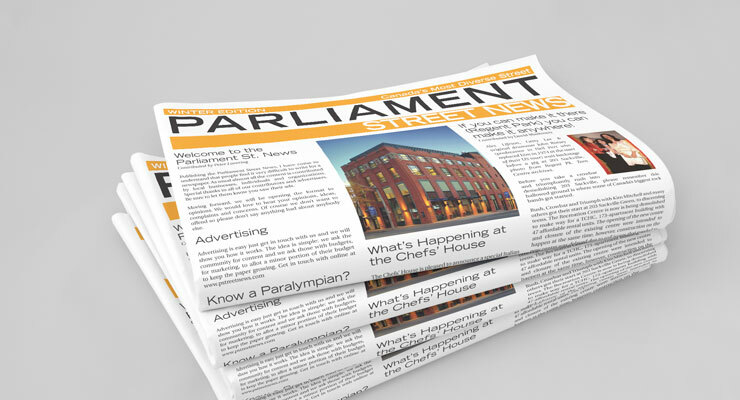 The parliament Street News has always welcomed content created and written by the community. In fact that was the premise of the entire paper. Moving forward in 2019 we are changing up the editorial guidelines. We will welcome all content, as usual, from the community. The only catch is you must write something about somebody else. We will reserve the right to omit articles that are strictly business related or deemed self serving and too self promotional or too long.Articles will need to be written in the 3rd person. It is our opinion that this will lead to more interesting content and maybe help us to get to know each other a little better. Guidelines for articles are simple. 150-200 words and Images are welcome. You may not say anything bad about anybody else? And articles should be about others in the community. If you have any questions please contact the Publisher Sarah Cook. Topics for Parliament Street News Articles. People, families or groups doing great things. Recipes – we love recipes. Shout outs to people in the area doing great things and porviding great service. Every quarter we publish 4,000 8 to 12 page copies of the Parliament Street News. Over 70 percent of those get distributed to homes and condominiums via private delivery and Canada Post. The rest are strategically delivered by hand to restaurants Cafes, apartment buildings, community centres throughout the downtown east side of Toronto. If you would like to learn more please do not hesitate to email via the contact page or give Sarah Cook a call at 416-817-7842. The full rate card is available above. You can also subscribe tour update newsletter which will let you know when we are about to publish the next issue. Generally we send this email a month before each issue to allow everybody time to update their ads or submit content.